Don’t want too much fitness data to confuse you? 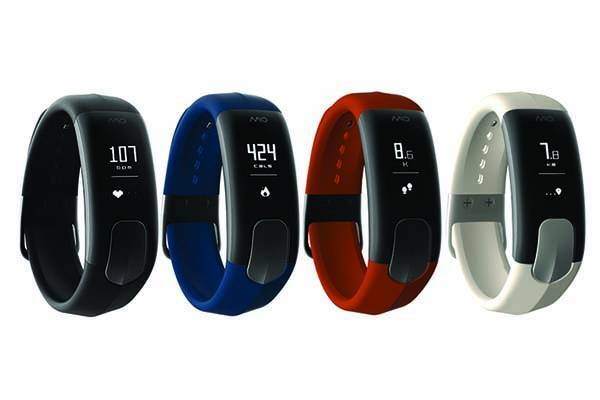 Take a look at Mio SLICE fitness tracker with heart rate monitor. With its unique PAI tracking system, it delivers a more simple and convenient way to help you improve health. Sounds cool? Let’s continue checking. The Mio SLICE is an advanced and easy-to-use fitness tracker that comes in two sizes. The small fits wrists 5.5″ to 6.75″ in circumference, and the large one fits wrists 6.75″ to 8.25″ in circumference. As we can see from the images, the wearable features sleek and slim form factor along with four beautiful color options to match with different personal aesthetics. Moreover, its matte finished TPU strap delivers a comfortable wearing experience, and its core components have been sealed in an anodized aluminum casing for durability and premium feeling. Using built-in 3-axis accelerometer, the fitness tracker always tracks your steps, distance and calories burned, and its advanced PAI system analyzes your every movement including yoga, spinning and more. Meanwhile, with the PAI tracking system, you don’t need to pay much attention on various tracking metrics. All you need to do is keep your PAI score above 100 over a 7-day rolling window for staying healthy. Moreover, the fitness tracker also monitors your sleep quality, and integrated heart rate monitor delivers continuous all-day heart rate monitoring. In addition, built-in Bluetooth connectivity allows it to wirelessly communicates and sync tracking data with your smartphone. Its rechargeable battery offers approx 5 days of usage. Apart from these, the wearable is water resistant to 100ft/30m. The Mio SLICE fitness tracker is priced at $129,95 USD. If you’re interested, jump to Brookstone online store for its more details. BTW, don’t miss Motiv smart ring and other related gadgets by following tags.